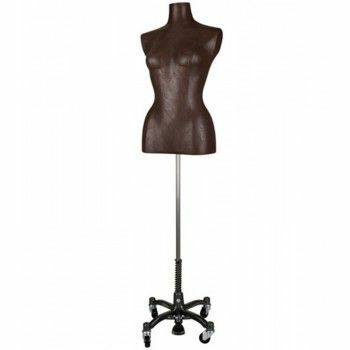 This beautiful bust seam woman is black imitation leather. It will bring elegance to your windows. This woman bust exudes personality. Without head or arms, it is superb to put your womenswear collections. Easy to handle and dress, it requires little maintenance. It comes with a tripod base whose height is adjustable. Do not hesitate to contact us for more information about this woman sewing bust.